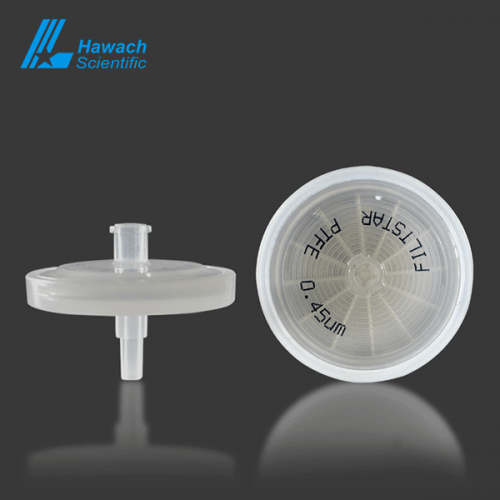 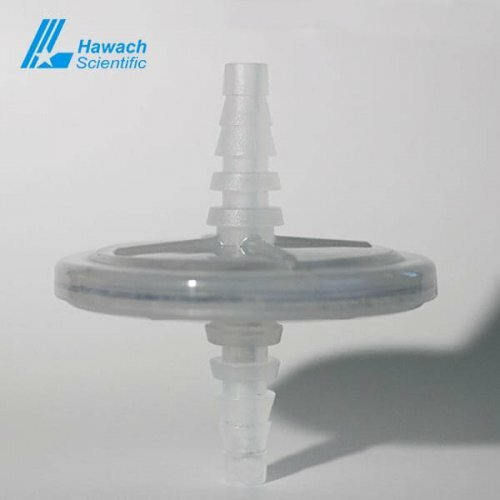 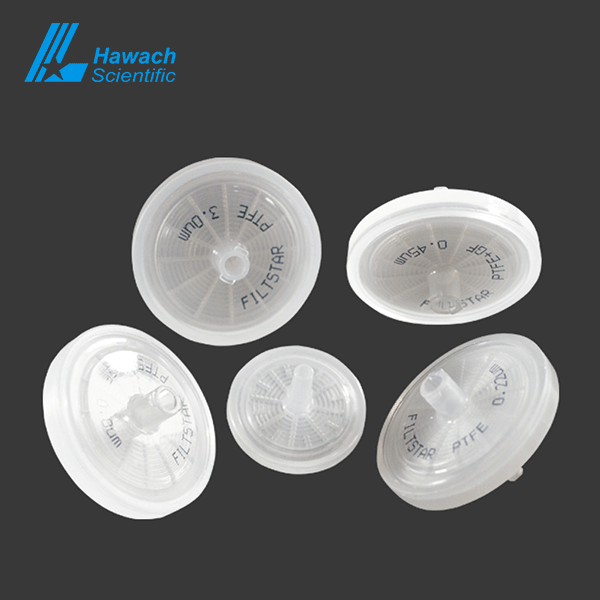 The membrane of Hydrophilic PTFE Syringe Filters are unsupported and is ideal for HPLC and mixtures of aqueous and organic solvents. 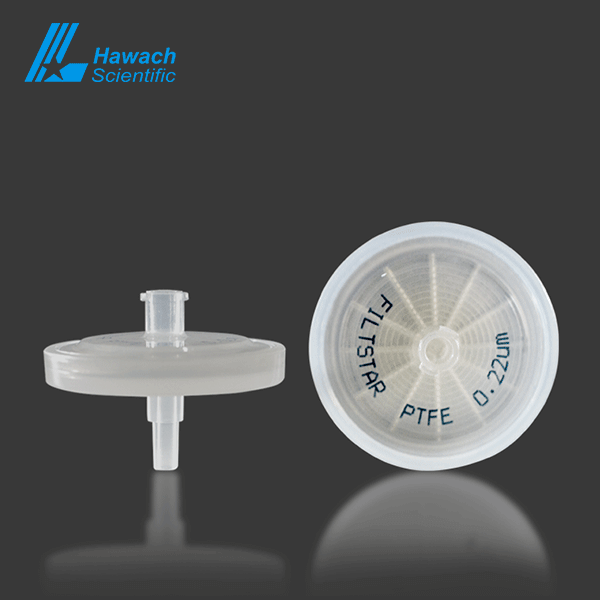 Hydrophilic PTFE Syringe Filters used with both aqueous and organic solvents, as well as mixtures thereof. 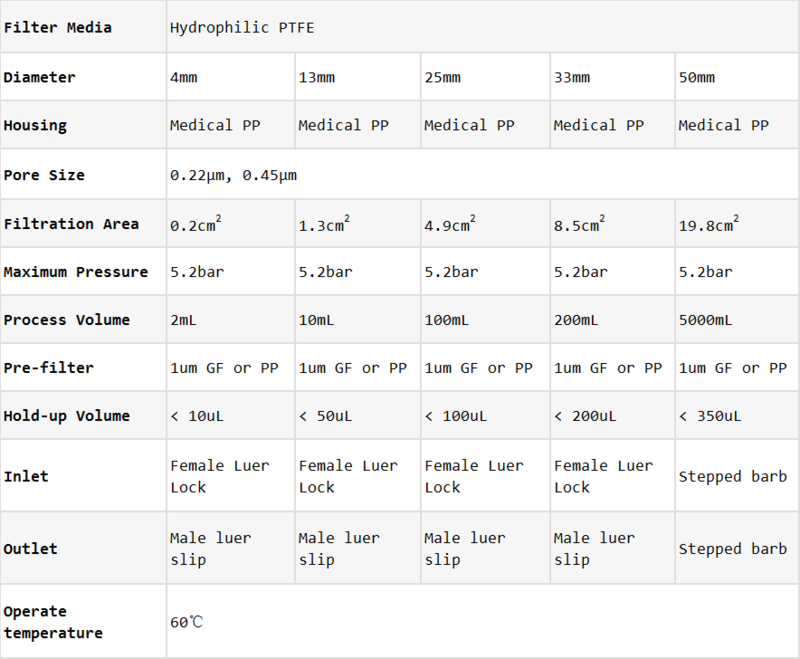 Broad choice of membranes is available for laboratory application with aqueous, solvent and their mixtures. 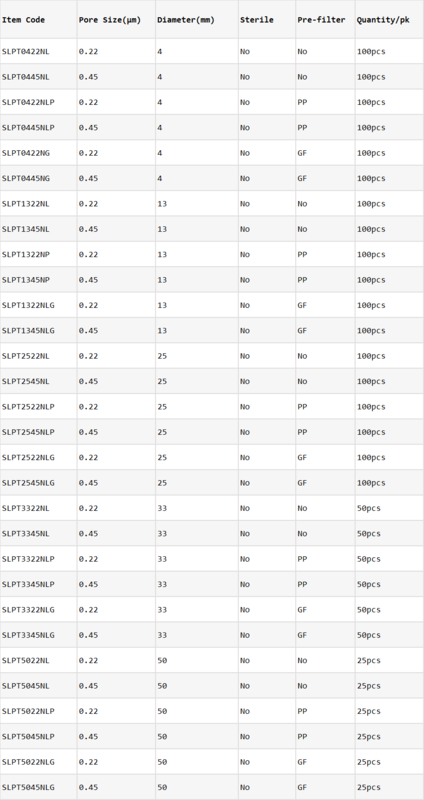 Filtration of aggressive organic or highly alkaline solutions, transducer protectors.